Furnace Maintenance: When's the Best Time to Have Your Furnace Serviced? Furnace Maintenance: When’s the Best Time to Have Your Furnace Serviced? The average family in the United States spends around $2,200 on utility costs each year. And a good portion of that goes to your heating bill. The best way to save money on your winter utility costs is to make furnace maintenance a priority. You know that a fully functioning furnace is important, but how often do you really need to schedule an appointment? Read on to see just how often those maintenance appointments need to be scheduled. Annual furnace inspections are key to preventing unexpected breakdowns and damage during the winter months. And the best time to take care of them is at the beginning of fall. And after a long summer of not getting used at all, your furnace will need a tune-up. Dust, dirt, and grime can damage the components of your furnace. By scheduling a fall tune-up, you’ll keep the system working properly when you need it most. During the maintenance inspection, your HVAC technician will look for any signs of wear and tear. If any components need to be replaced, they’ll be able to replace them before the furnace has a chance to break down. Without the annual inspection, you might miss basic maintenance tasks. Making inspections a priority can extend the life of your furnace and help you stay warm without putting a strain on your budget. Every furnace makes noise when it turns on. But if the noises sound out of the ordinary or you hear loud clanking every time the heat turns on, you need to schedule an appointment. Strange noises are a sign that your system is struggling. It could be something as simple as a loose belt, but it might also be something more severe. Ignoring the noises puts your furnace at risk for further damage and can shorten the lifespan of your heat system. If you’ve lived in your home for more than a year, you have an idea of how much energy your furnace uses each month. During the winter, keep an eye on your energy bills. If you notice them going up, even though your furnace use has stayed the same, schedule an appointment. When a furnace needs service, it will often use more energy to heat your house. The longer the maintenance is neglected, the more inefficient the system will become. Keep in mind that the average furnace only lasts for about 15 years. If the furnace is older than that, no amount of furnace servicing will improve the efficiency of the system. You’ll be better off replacing the unit with a new system. Furnace maintenance doesn’t have to happen frequently. But it should be a regular part of your home maintenance routine. But unlike many maintenance tasks, furnace repairs and maintenance always need to be handled by the pros. Contact us to schedule a free estimate today. We’ll make sure you stay warm and comfortable no matter how bad the weather gets. Winter-Ready: What Are the Best Home Heating Options for Old Houses? No Hot Water? 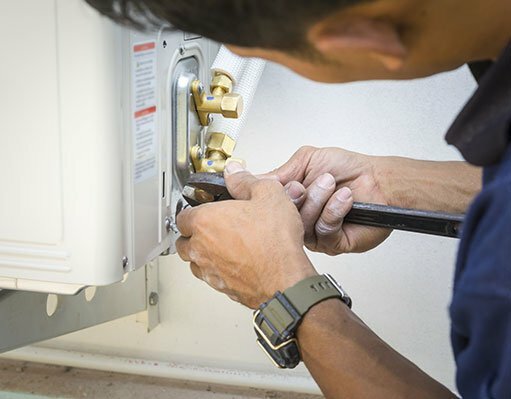 Here’s How to Troubleshoot Common Water Heater Problems! Heater Temperature: How High is Too High for Winter?